Find out why American Heating And Cooling has been the trusted ductless heating and air conditioning company for the Nashville area since 1981. Why choose American Heating and Cooling? Ductless HVAC systems, or mini-splits, are popular for their efficiency, ease of installation, and comfort. As the name suggests, ductless air conditioners and heat pumps do not require indoor ductwork to function. They offer heating or cooling for specific areas of a building rather than circulating air throughout the house or office like central air conditioning. These systems are offered for single and multi-zones. In last couple of decades, ductless heating and air systems have become more popular with homeowners. There’s plenty to know about their benefits, potential drawbacks, and maintenance requirements so let’s jump right in. These systems work with ductless heat pumps or air conditioners and an outdoor compressor. The indoor units heat or cool the single or multi-zones instead of using ductwork to circulate conditioned air. Ductless heating and air systems can be a wise option for conditioning the air in an older home or new addition without having to put in ductwork. They’re also an attractive option to property owners look for a more efficient, cost-effective system. This is because these systems use inverter-driven compressors, which increase or decrease in speed based on the needs of the system.  The systems are often quieter than traditional HVAC systems and can be used to condition the air in trickier parts of the home such as basements and attics. Also, it’s worth noting that the overall cost of operation and installation is generally less than HVAC systems that rely on ductwork. Ductless systems work for a variety of buildings and situations. They’re only increasing in popularity as property owners look for energy efficient ways to cool and heat spaces without investing in timely and costly ductwork installation. Because ductless systems work with a single or multi-zone, they may not be ideal if you want to achieve the same temperature throughout your home or office. Ductless systems may not be an interior designer’s dream. You’ll need wall space to install them and will keep to clean them regularly. They are higher in cost than baseboard or window units. You must stay on top of filter cleanings and replacements to keep indoor air quality up. There are some good things to know about maintaining your ductless system. These systems aren’t 100% “hands off.” As with any home appliance or investment, you’ll get most the bang for your buck if you take the time to clean them and have them serviced on a regular basis. Like a standard HVAC system, you need to keep its exterior clean. Dust and dirt can pile up on and around the unit. Eventually, these particles will work their way into your system and your air. Wipe your unit on a regular basis to prevent buildup. Be sure to also keep an eye on the vents outdoors so they don’t get clogged. Do this regularly and you will save yourself the hassle and expense of repairs. Filters are critical to keeping your ductless system running at its best. As with a traditional HVAC system, you’ll need to clean your air filters regularly. You can do this every month, but may need to do it more often if you’re noticing reduced air quality. To clean the filters, first turn off your system and allow it to cool down. Then remove the filters and wipe them down with a dry cloth until they are free of buildup. Keep in mind that the filters will need to be replaced at some point. The system’s manual should be able to provide you with guidance on when to do so. Filters that are too impacted with debris to be cleaned should be replaced. Even well-maintained, high-quality air conditioning systems will eventually need replacement. Once your system reaches 10 years, the advantages of a new system may outweigh the cost of installation. There are typically two major signs you need to replace your system: your home is uncomfortable, and you constantly need repairs. The purpose of your AC system is to keep your home comfortable. If repairs and adjustments fail to make this happen, you likely need a new unit. As your system gets older, repairs will become more expensive, and you may find it difficult to get the level of performance you need. If you’re dealing with regular breakdowns, it’s probably time for a new system. When in doubt, have a professional AC repair company take a look and advise you on your options. Despite their small size and efficiency, ductless systems need just as much routine maintenance to remain in good condition as other systems. Generally, your ductless system should be serviced twice a year to maintain efficiency and prevent costly repairs. This maintenance should be performed by a licensed, experienced HVAC professional. You don’t want to risk a DIY job that ends up damaging your system, home, or worse, yourself! Are you considering adding a ductless system to your new addition? Or do you want to replace your ducted system with a duct-free method of heating and cooling? No matter what you’re planning, our team at American Heating and Cooling can walk you through your options and help you find the right solution. We offer installation, maintenance, and repairs for ductless systems for home and business owners in Nashville community. To learn more about ductless heating and air, contact American Heating and Cooling.